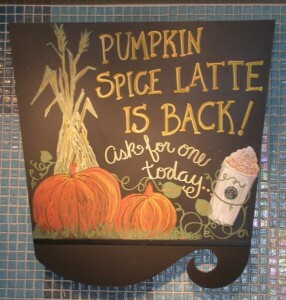 Now that it’s officially fall, pumpkin flavored treats are everywhere. 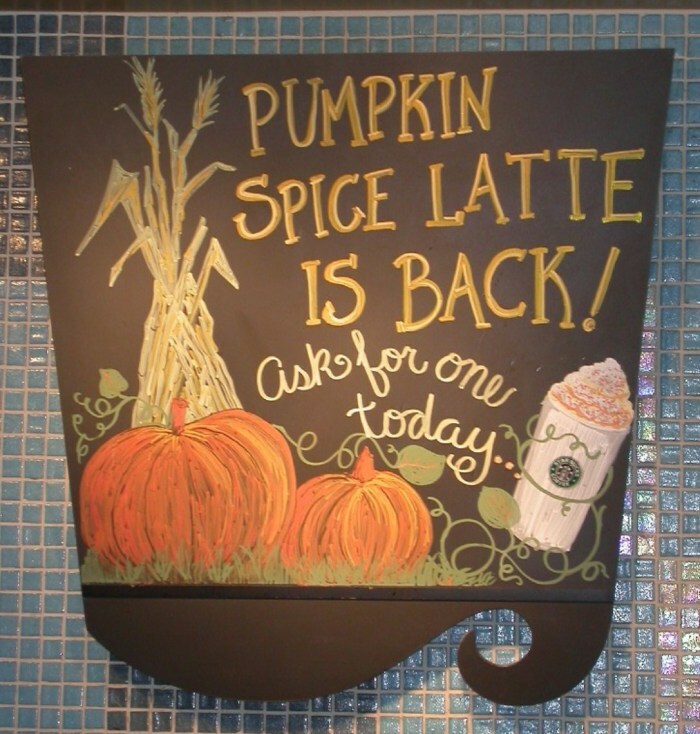 From pumpkin pies at your local bakery to pumpkin-scented soap, to the drink that may have gotten the pumpkin trend started: The pumpkin spice latte. It’s delicious, comforting and tastes like fall. We’re totally addicted. If you can’t afford the $4 a cup price tag, prefer to keep your drink vegan (the one at Starbucks is not), or if you’d just prefer to make your coffee from scratch, we’ve got an amazing pumpkin spice syrup recipe that’s delicious in lattes, as sweetener in tea, mixed in to cocktails, and even drizzled over vanilla ice cream. 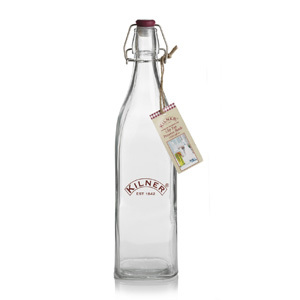 When bottled in Kilner preserve bottles, this syrup makes a perfect hostess gift, birthday gift, or even holiday gift. If you’ve got a Pumpkin Spice Latte lover in your life, this is a great way to make sure they get to enjoy their favorite drink, even after they take it off the menu for another year. I find that a 0.25 liter preserve bottle full of this syrup is the perfect size for both gift giving and at home. This recipe makes enough so you can both keep some for yourself and give some away. Each bottle holds enough syrup for 20-50 cups of coffee, depending on how sweet you like it. 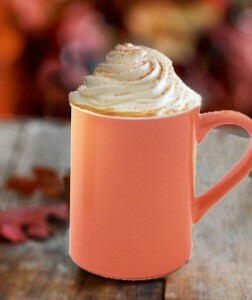 It’s the perfect Pumpkin Spice Latte recipe to give as gifts! Stir together over medium heat until the sugars have dissolved. Continue cooking over low heat for 5-6 minutes, stirring occasionally. Do not allow the mixture to come to a boil. Strain mixture through a fine mesh strainer, triple layered cheesecloth, or muslin square. Funnel into Kilner bottles OR Kilner preserve or clip top jars. 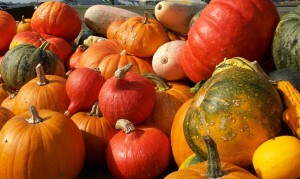 To make your pumpkin spice latte, brew 2oz of espresso or very strong coffee in a large coffee mug. Combine 2 teaspoons of syrup and 8oz of milk, soy milk, almond milk, etc. Mix well and steam (if you aren’t able to steam your milk, simply heating it will work, flavor wise.) Pour the milk and syrup mixture into the coffee, top with whipped cream and a sprinkle of cinnamon (if you like it) and enjoy! *To preserve the syrup, process the jars or bottles as you would jars for jam or jelly (see our strawberry jam tutorial here.) Add the syrup to the jars or bottles while hot, and close. If you’re using a preserve jar, keep the screw band ¼ turn lose. If using a clip top jar or bottle, close and latch the jars. Submerge in boiling water and boil for 10 minutes. Remove with jam tongs and let jars cool completely. Once you’re sure they’re sealed, they’re ready to be stored for up to 3 months. Enjoy, and let us know what you think in the comments below! This entry was posted on Friday, September 27th, 2013 at 4:19 pm and is filed under Canning, General, holiday, Kilner, Pacific Merchants, Preserving, Recipes. You can follow any responses to this entry through the RSS 2.0 feed. Both comments and pings are currently closed.